1 A None No Power Seat 1 A is a standard Business Class seat however, the position of the bassinet and proximity to the lavatory and galleys may be bothersome. 1 C None No Power Seat 1 C is a standard Business Class seat however, the position of the bassinet and proximity to the lavatory and galleys may be bothersome. 1 H None No Power Seat 1 H is a standard Business Class seat however, the position of the bassinet and proximity to the galleys may be bothersome. 1 K None No Power Seat 1 K is a standard Business Class seat however, the position of the bassinet and proximity to the galleys may be bothersome. 15 A None No Power Seat 15 A is a standard Business Class seat however, the position of the bassinet and proximity to the lavatory and galley may be bothersome. 15 C None No Power Seat 15 C is a standard Business Class seat however, the position of the bassinet and proximity to the lavatory and galley may be bothersome. 15 D None No Power Seat 15 D is a standard Business Class seat however, the proximity to the lavatory and galley may be bothersome. 15 G None No Power Seat 15 G is a standard Business Class seat however, the proximity to the lavatory and galley may be bothersome. 15 H None No Power Seat 15 H is a standard Business Class seat however, the position of the bassinet and proximity to the lavatory and galley may be bothersome. 15 K None No Power Seat 15 K is a standard Business Class seat however, the position of the bassinet and proximity to the lavatory and galley may be bothersome. 45 A None No Power Seat 45 A is a standard Economy Class seat that may have restricted legroom. The position of the bassinets may be bothersome. 45 C None No Power Seat 45 C is a standard Economy Class seat that may have restricted legroom. The position of the bassinets may be bothersome. 45 D None No Power Seat 45 D is a standard Economy Class seat that may have restricted legroom. The position of the bassinets may be bothersome. 45 E None No Power Seat 45 E is a standard Economy Class seat that may have restricted legroom. The position of the bassinets may be bothersome. 45 G None No Power Seat 45 G is a standard Economy Class seat that may have restricted legroom. The position of the bassinets may be bothersome. 45 H None No Power Seat 45 H is a standard Economy Class seat that may have restricted legroom. The position of the bassinets may be bothersome. 45 K None No Power Seat 45 K is a standard Economy Class seat that may have restricted legroom. The position of the bassinets may be bothersome. 46 D None No Power Seat 46 D is a standard Economy Class seat that has extra legroom however, other flyers tend to bump into this seat. 46 E None No Power Seat 46 E is a standard Economy Class seat, however the legroom may be misaligned due to the transition from 3 seats in front to 4 seats in this row. 46 F None No Power Seat 46 F is a standard Economy Class seat, however the legroom may be misaligned due to the transition from 3 seats in front to 4 seats in this row. 46 G None No Power Seat 46 G is a standard Economy Class seat that has extra legroom however, other flyers tend to bump into this seat. 5 G None No Power Seat 5 G is a standard Business Class seat however, the proximity to the galleys may be bothersome. 56 D None No Power Seat 56 D is a standard Economy Class seat that may have limited recline. The proximity to the lavatories may be bothersome. 56 E None No Power Seat 56 E is a standard Economy Class seat that may have limited recline. The proximity to the lavatories may be bothersome. 56 F None No Power Seat 56 F is a standard Economy Class seat that may have limited recline. The proximity to the lavatories may be bothersome. 56 G None No Power Seat 56 G is a standard Economy Class seat that may have limited recline. The proximity to the lavatories may be bothersome. 61 D None No Power Seat 61 D is a standard Economy Class seat however, the position of the bassinets and proximity to the lavatories may be bothersome. 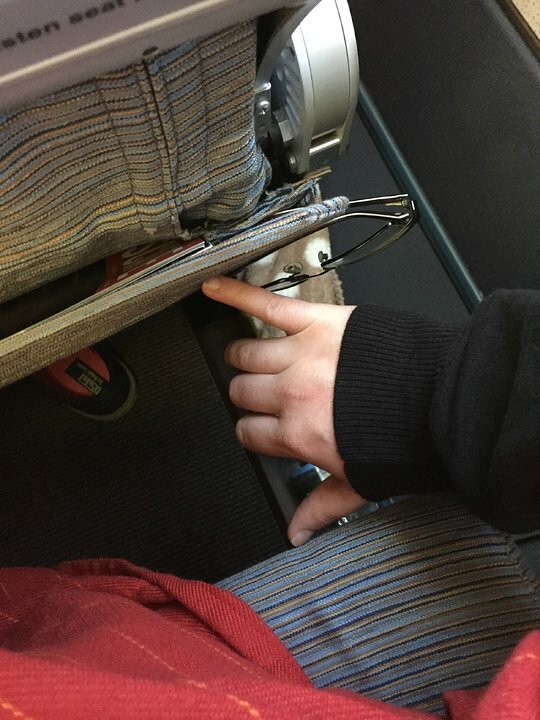 The tray table is in the armrest, making the armrest immovable slightly reducing seat width. 61 E None No Power Seat 61 E is a standard Economy Class seat however, the position of the bassinets and proximity to the lavatories may be bothersome. 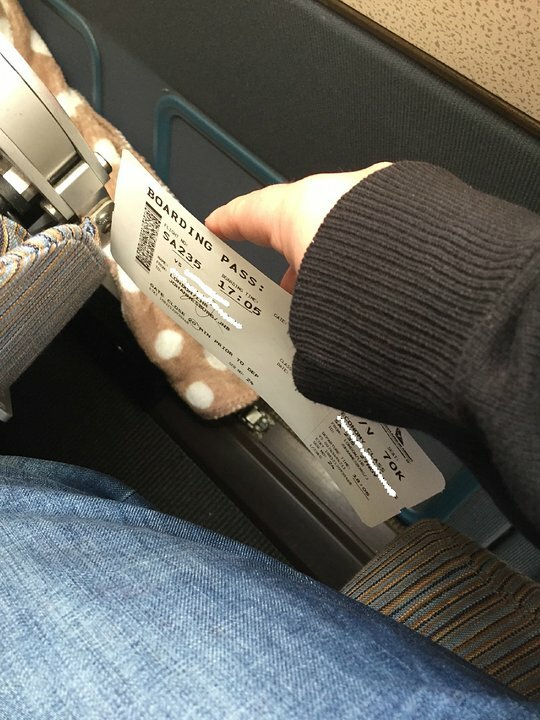 The tray table is in the armrest, making the armrest immovable slightly reducing seat width. 61 F None No Power Seat 61 F is a standard Economy Class seat however, the position of the bassinets and proximity to the lavatories may be bothersome. The tray table is in the armrest, making the armrest immovable slightly reducing seat width. 61 G None No Power Seat 61 G is a standard Economy Class seat however, the position of the bassinets and proximity to the lavatories may be bothersome. 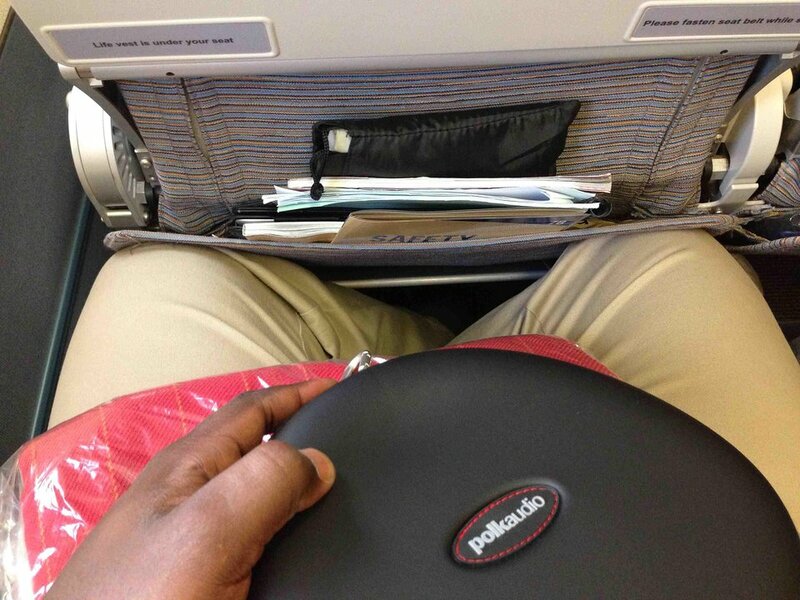 The tray table is in the armrest, making the armrest immovable slightly reducing seat width. 62 A None No Power Seat 62 A is a standard Economy Class seat that has extra legroom however, the proximity to the lavatories may be bothersome. 62 C None No Power Seat 62 C is a standard Economy Class seat that has extra legroom however, the proximity to the lavatories may be bothersome. 62 D None No Power Seat 62 D is a standard Economy Class seat that may have restricted legroom due to the presence of an equipment box located underneath the seat in front. 62 H None No Power Seat 62 H is a standard Economy Class seat that has extra legroom however, the proximity to the lavatories may be bothersome. 62 K None No Power Seat 62 K is a standard Economy Class seat that has extra legroom however, the proximity to the lavatories may be bothersome. 72 A None No Power Seat 72 A is a standard Economy Class seat, however this seat may feel cramped due to the curvature of the plane. 72 K None No Power Seat 72 K is a standard Economy Class seat, however this seat may feel cramped due to the curvature of the plane. 73 A None No Power Seat 73 A is a standard Economy Class seat, however this seat may feel cramped due to the curvature of the plane. 73 D None No Power Seat 73 D is a standard Economy Class seat, however other flyers tend to bump into this seat. 73 G None No Power Seat 73 G is a standard Economy Class seat, however other flyers tend to bump into this seat. 73 K None No Power Seat 73 K is a standard Economy Class seat, however this seat may feel cramped due to the curvature of the plane. 74 A None No Power Seat 74 A is a standard Economy Class seat, however this seat may feel cramped due to the curvature of the plane. 74 D None No Power Seat 74 D is a standard Economy Class seat, however the legroom and TV may be misaligned due to the transition from 4 seats in front to 2 seats in this row. 74 G None No Power Seat 74 G is a standard Economy Class seat, however the legroom and TV may be misaligned due to the transition from 4 seats in front to 2 seats in this row. 74 K None No Power Seat 74 K is a standard Economy Class seat, however this seat may feel cramped due to the curvature of the plane. 75 A None No Power Seat 75 A is a standard Economy Class seat, however this seat may feel cramped due to the curvature of the plane. 75 K None No Power Seat 75 K is a standard Economy Class seat, however this seat may feel cramped due to the curvature of the plane. 76 A None No Power Seat 76 A is a standard Economy Class seat that may have limited recline. The proximity to the lavatories may be bothersome. 76 C None No Power Seat 76 C is a standard Economy Class seat that may have limited recline. The proximity to the lavatories may be bothersome. 76 D None No Power Seat 76 D is a standard Economy Class seat that may have limited recline. The proximity to the lavatories may be bothersome. 76 E None No Power Seat 76 E is a standard Economy Class seat that may have limited recline. The proximity to the lavatories may be bothersome. 76 G None No Power Seat 76 G is a standard Economy Class seat that may have limited recline. The proximity to the lavatories may be bothersome. 76 H None No Power Seat 76 H is a standard Economy Class seat that may have limited recline. The proximity to the lavatories may be bothersome. 76 K None No Power Seat 76 K is a standard Economy Class seat that may have limited recline. The proximity to the lavatories may be bothersome. Each seat on this plane features audio on demand which gives the passenger access to many channels of music and the ability to build your own soundtracks. Each seat has a personal touchscreen monitor that features AVOD. TV shows, music and interactive games, are all available on flights lasting longer than three hours. Each Business Class seat features a 115V AC power port. There are no power ports in Economy. Complimentary food service is offered on all international flights in all classes of service. South African Airways changes these menus every three months. This South African Airways Airbus A340-300 features a two class configuration; with 38 flat bed seats in Business and 216 Economy Class seats, for a total seating capacity of 253 passengers. This aircraft is primarily used on a variety of long haul services. Recline was perfect. There is enough room for the attendants to move about without disturbing you and there's a reasonable distance to the lavatories. You can rest easy. These seats are really getting old. Mine had a broken headphone jack, and 2C and 2D had occasional reclining problems. At the end of the day it is still a flat bed, but the lack of entertainment is really bad. The crew was fine and food good. Not so bothering. Comfortable with close distance wtih cabin attendants. 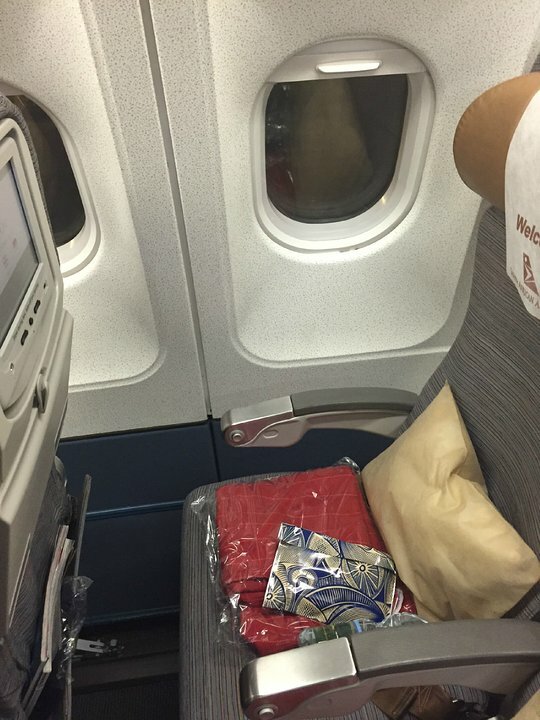 LHR to JNB, 11+ hours, this seat was so hard I was numb after the first hour. Cabin crew pretty glum most of the time, and the breakfast offered (omelette and chicken sausage) was horrible - I couldn't eat it. Also very sparing with drinks. Not my best flight! Flew from Cape Town to Johannesburg then onwards to Harare. The A340-300 is surprisingly spacious and comfortable considering that i am 1.8m tall. The interior is showing signs of age though. I had a great flight! This row is right by the lavotories, which wasn't particularly terrible. However, the flight attendants (and other passengers) managed to knock my elbow quite a few times. Also the seat would not recline all the way back, so this seat was not particularly enjoyable. Although the 2nd business class cabin is more exclusive the proximity to the coach cabin is such that the noise and light can be disturbing. 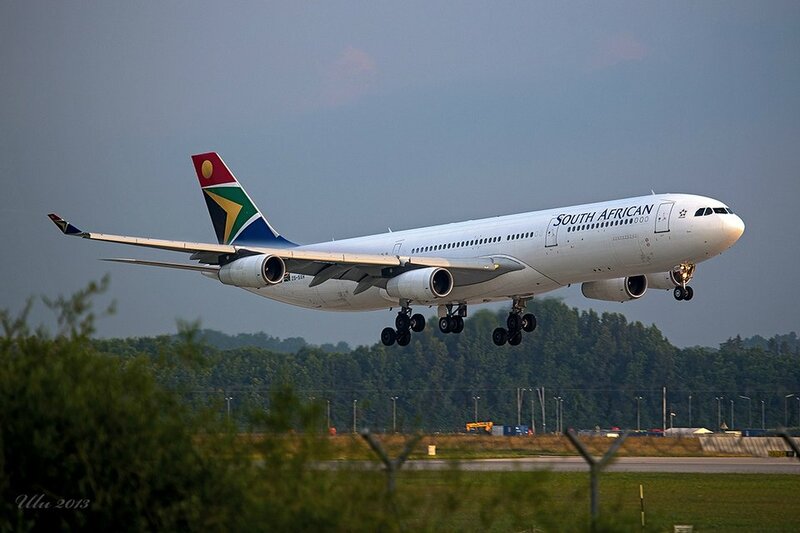 South African Airways flies 2 versions of Airbus A340-300 (343).